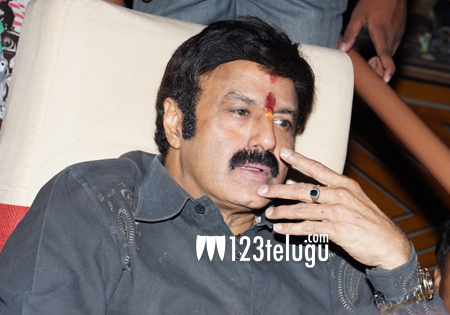 It is not often that film star turned politician Nandamuri Balakrishna interacts with the media. In a recent interview given to a leading English news daily, Balakrishna spoke at length about his upcoming film, Dictator. Balayya said that Dictator will be the most stylish film in his career and that the film’s director Sriwass has designed a never seen before role for him. Balayya also said that he lost nearly 12 kilos to look his role. Speaking about his landmark 100th film, Balakrishna said that he is not thinking about it at the moment and that he will take the call once he gets the right script. Dictator’s regular shooting will kick start from today and the film will be produced jointly by Sriwass and Eros International. Anjali and Sonal Chauhan will be seen romancing Balakrishna and senior writers Kona Venkat and Gopi Mohan have penned the story and screenplay.